...which is why I call him "The Chuck Bridge". Because after three times visiting, one needs not stay on formal terms. It would almost be an insult. 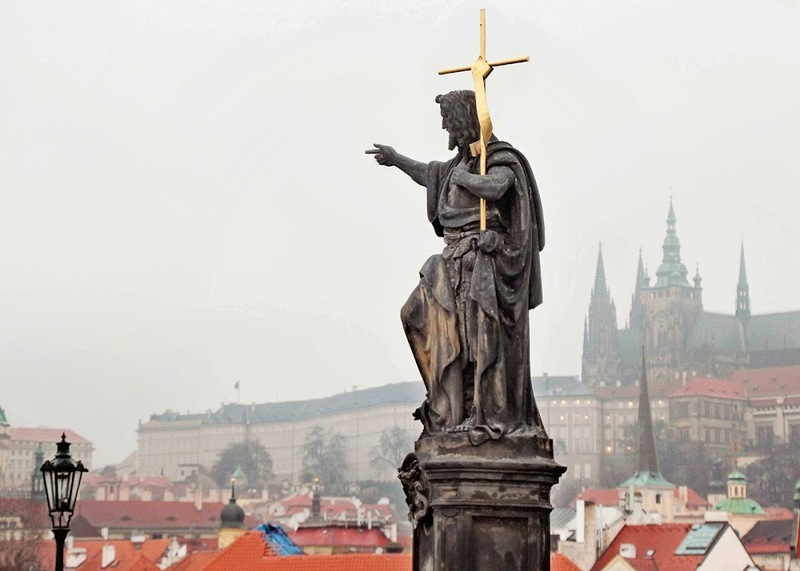 He is more formally known as "The Charles Bridge". 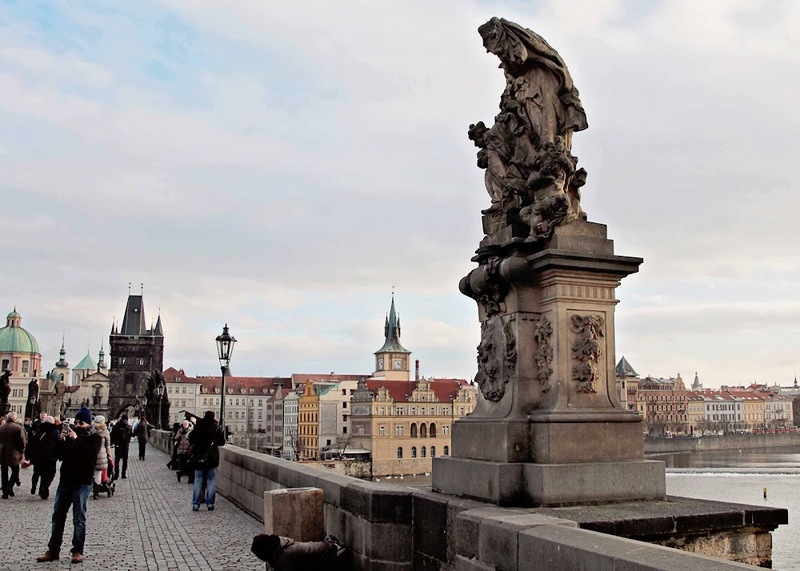 And he crosses the Vltava River in Prague, Czech Republic. Considered to be one of the most astonishing Gothic structures in the world. I have to agree. And not just because we are friends. 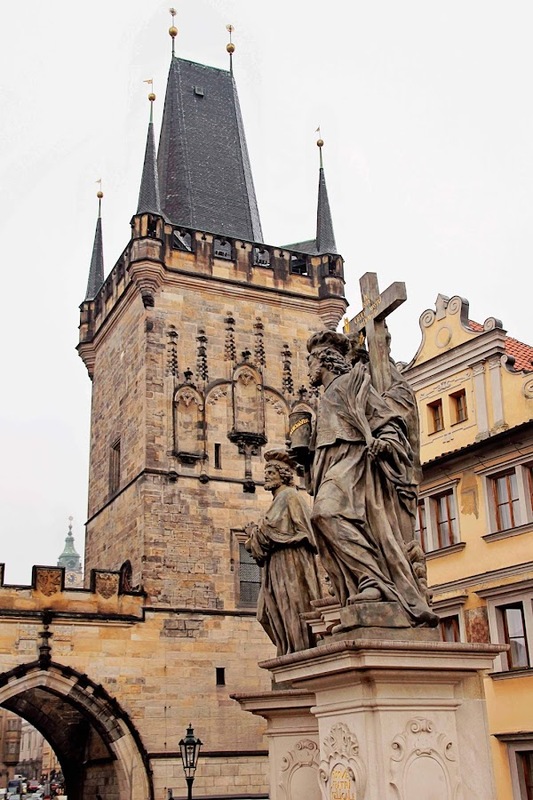 Construction started in 1357 under King Charles IV, and finished the beginning of the 15th century. It was the only means of crossing the Vltava River until 1841. Today, it is solely a pedestrian bridge. Which is awesome for photographs. Unless you are walking it with ME...then I'm sure it's kinda of a pain in the arse for you. "Hazy Morning on the Charles"
...and the third across the bridge on the Old City side. 621 meters long, 10 meters wide. Resting on 16 arches. 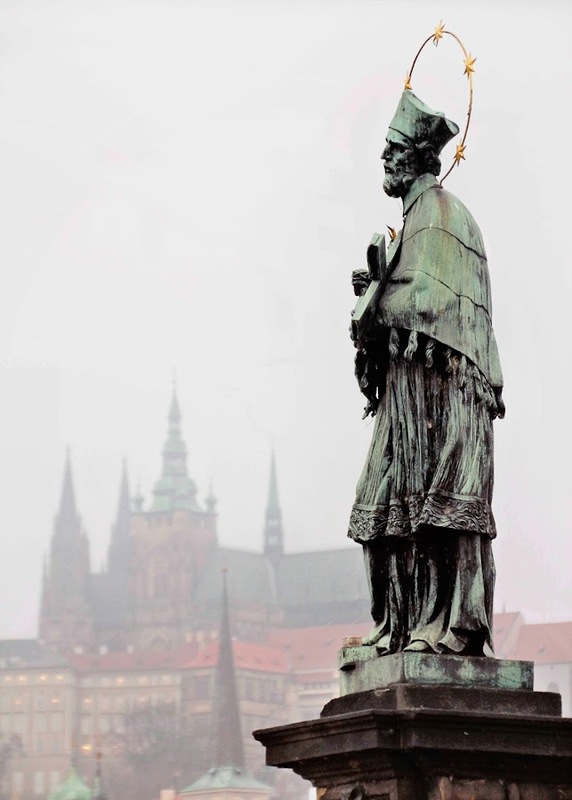 Czech legend has it that construction began on the Charles Bridge at precisely 5:31 a.m. on July 9, 1357 with the first stone laid by Charles IV himself. 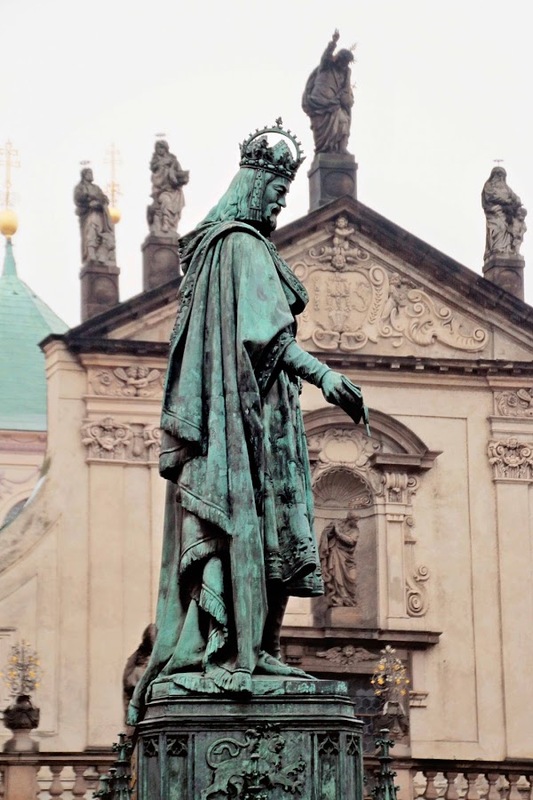 This EXACT time was important to the Holy Roman Emperor because he was a strong believer in numerology. I wonder what his stance was on his Horoscope (fyi, May 14th birthday = Taurus = insightful, independent, analytical, and prophetic = Holy Roman Emperor shoe-in!). This specific time formed a numerical bridge: 1357 9,7 5:31. 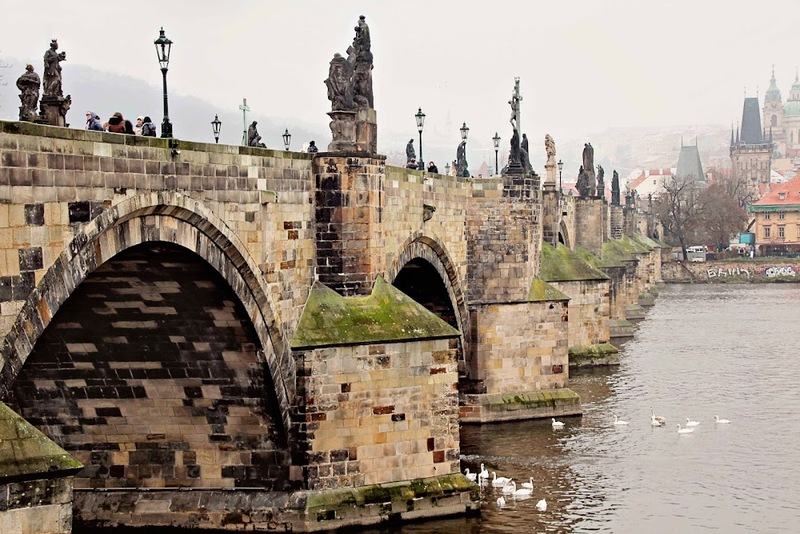 It was believed to imbue the Charles Bridge with additional strength. And if THAT wasn't enough...it is also said that egg yolks were mixed into the mortar to strengthen construction. Never underestimate the power numerology and...poultry. Considering the bridge was largely undamaged by the destruction of WWII, when Prague fell to both Germans AND Russians...that's one "incredible edible egg"! 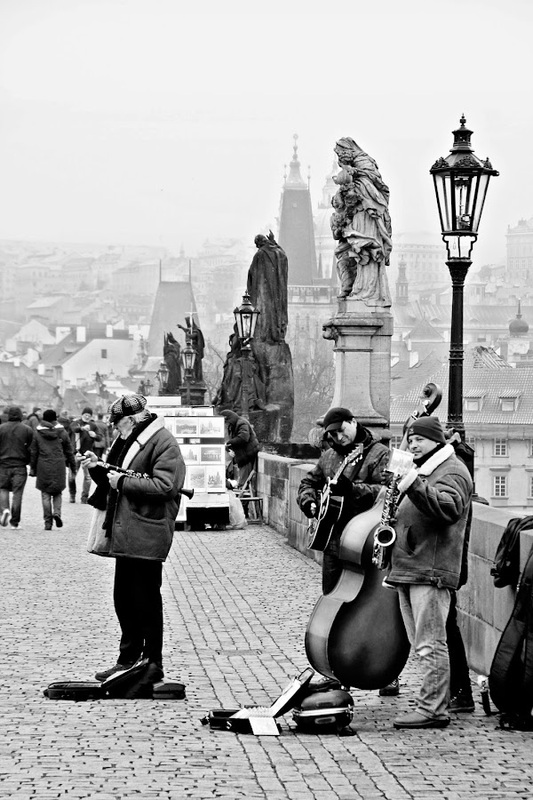 Today, it's a popular venue for strollers to take in the fairytale views of Prague, street performers, artists, musicians, souvenir hawkers. Yep, even a pick pocket or two. In the past, you might venture over the Vltava and and see severed heads of revolt leaders on display. Probably a few souvenir hawkers there then too. 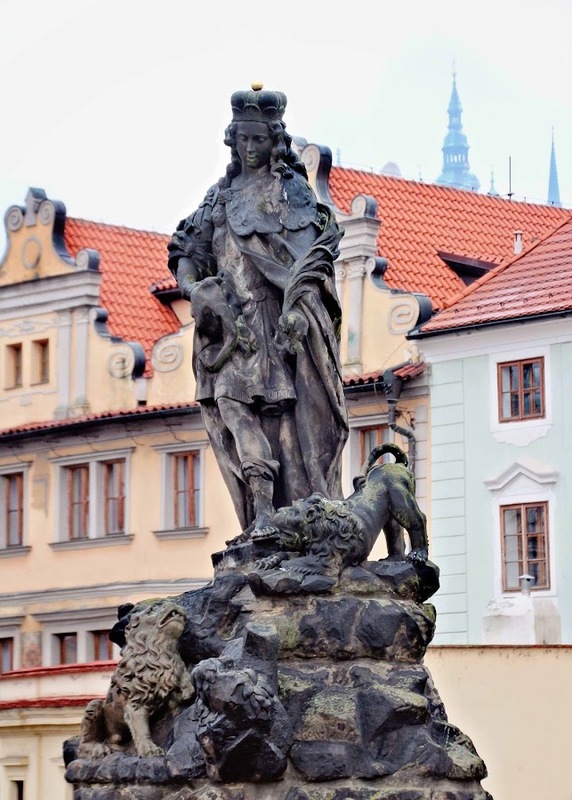 Probably what the Charles Bridge is most known for tho, is it's continuous alley of statues. Most of them Baroque style, erected around 1700. 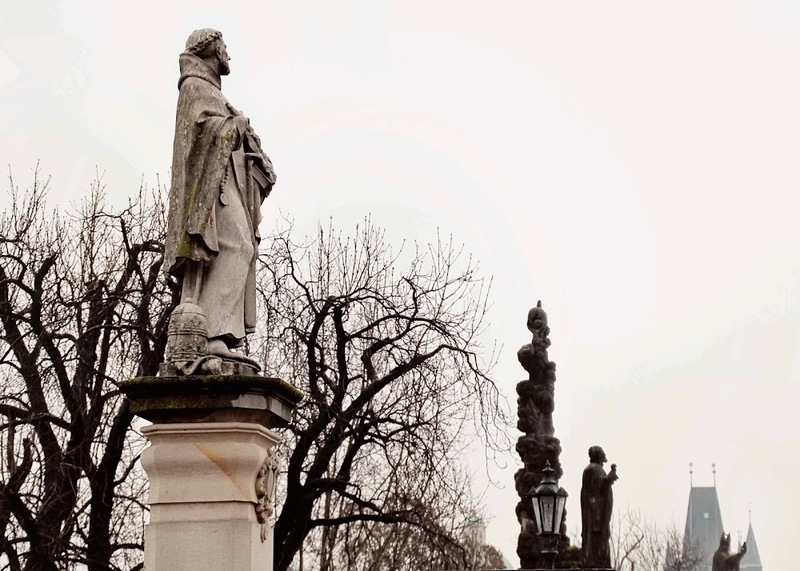 All saints and patron saints of the Czech Republic. 30 in all. 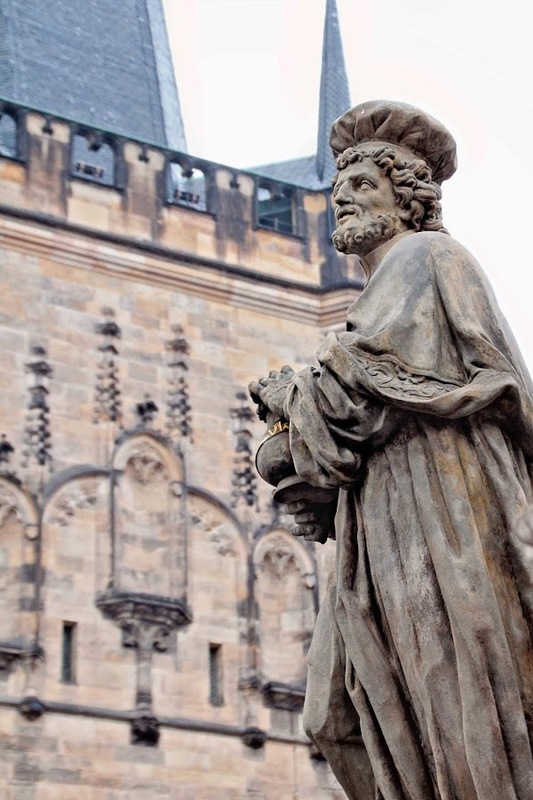 Did you know Good King Wenceslaus is the patron saint of the Czech Republic? 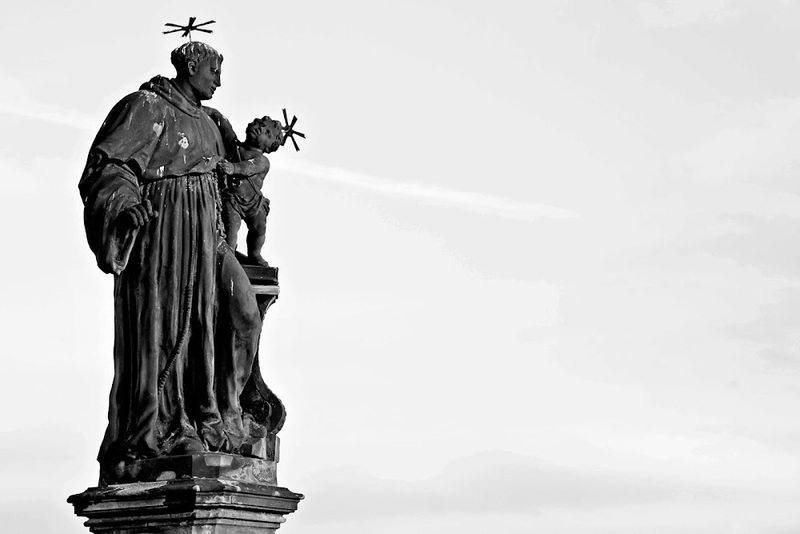 He is depicted a few times on the Charles Bridge. ALMOST makes up for being murdered by your younger brother. Three times in Prague. Summer, Fall and now Winter. The sun was AWOL. Cold. Grey. Foggy at times. A completely different look and feel to the city than the last time I visited Chuck. Made me realize that winter is a bridge connecting one year to the next. 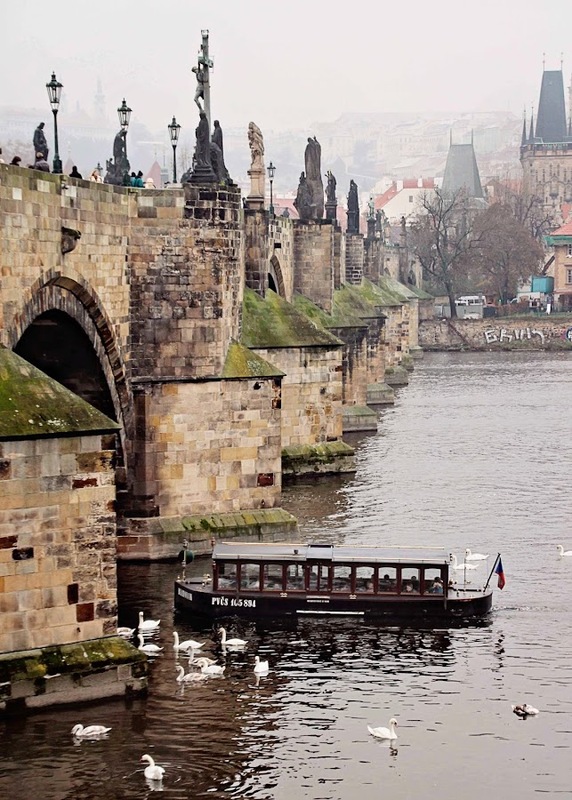 But in Prague, the Charles Bridge connects century to century to century. It's timeless. Gotta love Chuck...and the power of the egg. Next Tuesday's Song-ography title suggestion is "End of the Line (It's Alright)" by the Traveling Wilburys. Look at those swans! Puts my two that I follow around my pond into perspective! This is a great post - I loved all the tid bits of info...and, as always, your perspective on it all! Well, HELLO CHUCK! Thanks for sharing this travel post! Aloha to you, Kathy! Such a wonderful and special bridge ~ I'd love to see it one day! 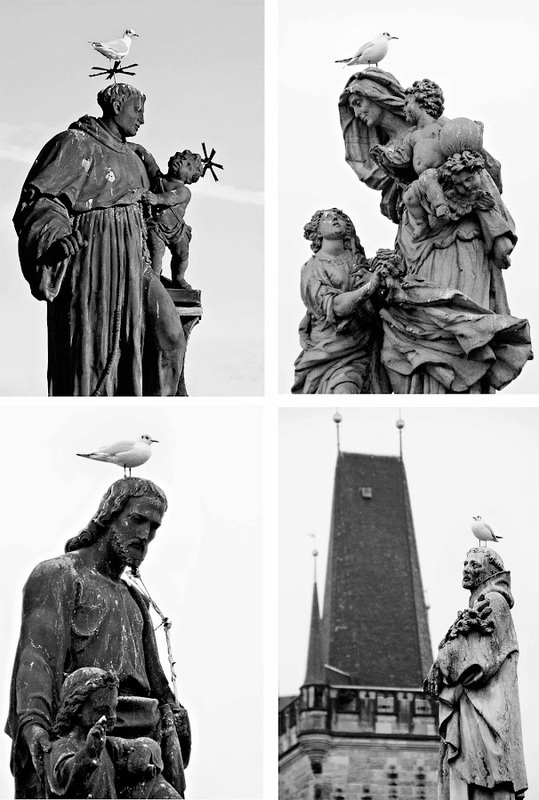 Your images are beautiful ~ both in color and in B&W | those statues ... Wow! Beautiful photos! I want to visit and explore. Gorgeous! Oh, and I forgot to ask, did you notice the word/name? with an arrow on the photo "On the Vltava" on the far wall towards the top of the pic? You captures this in such an AMAZING way! I want to go there, now and see it for myself! Wonderful photos .... how lucky you were to visit there. And wow.... such amazing and gorgeous photos. I've been to a lot of places but have yet to go here. It's on my wish list! Thank you for sharing and making me smile. These are some wonderful photos! I love to see the old architecture that you have! What an amazing bridge! The bridge and the photos are amazing. I imagine I would also be a pain to walk across it with. You have a wonderful ability to take great photos. It's why I started following your blog in the first place (and the Philly connection.) BTW - if you look at your third pic from the bottom you can clearly see that wearing a pigeon in your hair was in style at the time. It's a little-known historical tidbit. Stunning! I love the rooftops in the first photo but Chuck is the money shot! You bring us right to your bridge in these images! I so want to walk this bridge sometime in my life! Love all the history, too. Wondering where you took the bird's eye view from. A street? Your hotel? 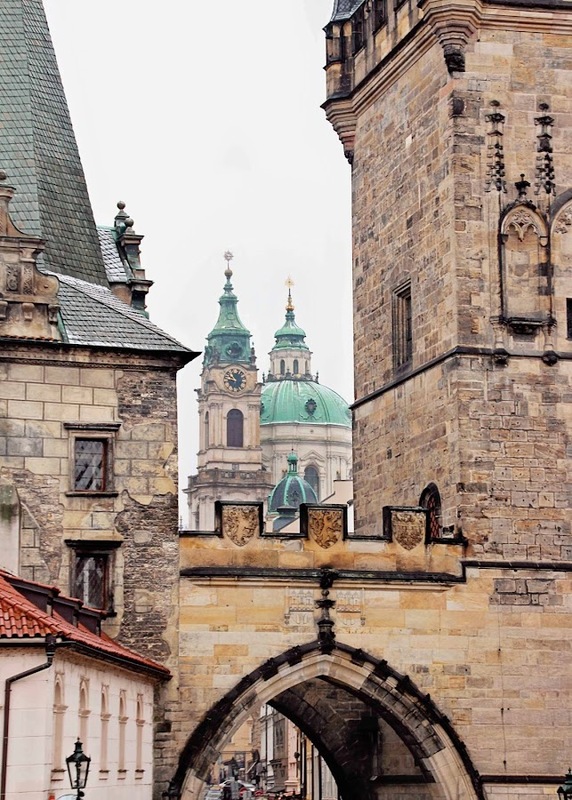 Prague is going on my bucket list! Hi Sharon, the photo was taken from one of the bridge towers shown in my 6th photo. The bridge tower on the right...look up top and you'll see where I was standing. WOW! These are such amazing photos! Really they need to be in a travel magazine my friend! Such a great post!!! I was in Prague last June and I am anxious to to go back. I love you photos. they take me down Memory Lane. Oh my, what stunning images of Chuck...love the moss growing on the side. You certainly have quite the skill of capturing your trip in amazing images!! 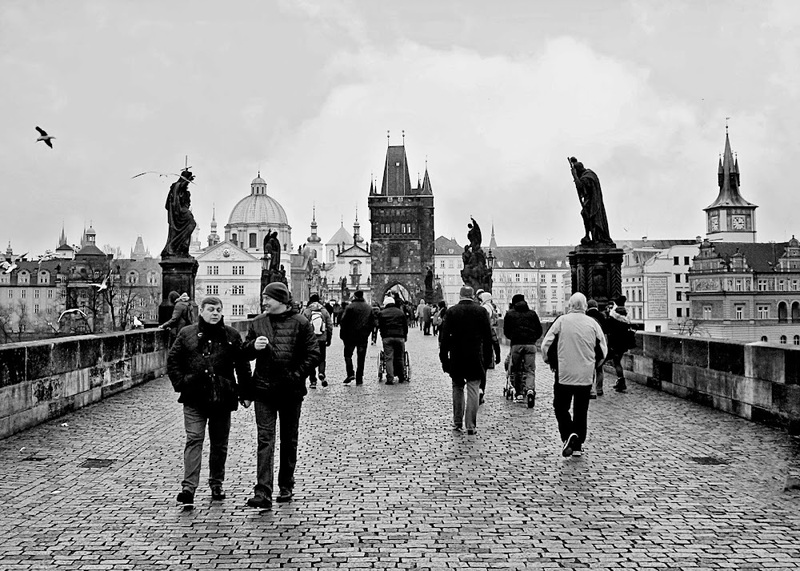 I love the Charles Bridge - although it's been a long long time since my last visit to Prague (soon after the iron curtain came down). Your photos are exquisite and makes me want to go again. Excellent pano! I keep forgetting about that feature. I know last time I tried I was frustrated that I couldn't be still but the picture still came out good. As always, beautiful photography. These are stunning. You really make me want to travel.